The art, the players, the myths, the legends, the teams, the history, the fans, the highs and lows: in Futebol Alex Bellos reaches deep into the heart of Brazilian Football. The Brazilian team is one of the modern wonders in the world. At it’s best it radiates skill and beauty and has a romantic lure that can not be found with any other sports team. Football symbolises Brazil’s racial harmony, but at the same time football is a microcosmos of Brazilian society with all its contrasts. Alex Bellos writes for The Guardian and The Observer from his Rio de Janeiro base. But he took a year off to write and research this book. 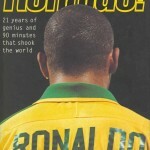 The book shows how Brazil changed football, and football changed Brazil. His story of great players like Pel? and Garrincha, great teams and famous matches is full of detail. At the same time he doesn’t forget to tell the story of the millions of players in the favelas and on backcountry pitches who form the real secret of Brazil’s seemingly everlasting football reign. British historian, and occupant of academic chairs on both sides of the Atlantic, Charles R. Boxer has choosen the period between 1695 and 1750 as the subject of his book. This period starts with the first rich findings of gold in Minas Gerais and ends with the death of Dom Jo?o V in 1750 and the subsequent rise to power of the Marquis of Pombal. By this time the production of Brazilian gold was already on the decline. Boxer has labeled this period the Golden Age because it coincided with the rich findings of gold (and diamonds) in Minas Gerais and later in Mato Grosso and Goi?s. He quotes Robert Southey to make clear that this sudden wealth brought with it no moral melioration, no increase of happiness, and it may be doubted whether it promoted or retarded the progress of the colonies. But it produced a great change in the system of administration, and in the conditions and pursuits of the people. These conditions and pursuits are what interests Boxer. While Pel? is the football player Brazilians admire, Garrincha is the one they love. Ruy Castro wrote a successful biography about him that led to a courtcase and a one year prohibition of the book because he portrayed the star of the 1962 World Cup as a drunk. The writer joked that his next biography would be about an orphan, only son, widow, infertile and impotent. A joke indeed because the Rio de Janeiro based journalist seems to relish the fatal weaknesses of Garrincha’s character: women and alcohol. At every possible opportunity he makes remarks about the attackers ferocious appetite for both. Aged 12 Garrincha played at least two or three games of football a day, in the future he would continue this rhythm, just in an other sport (page 38). This weakens Castro’s defense that that he didn’t write a book about football, but about alcoholism. It’s exactly because Garrincha was a famous football player that his alcoholism makes for an interesting story. Without his football skills he would have been just one more village drunkard. Without his self destructing side the result would be a boring rags-to-riches story. It’s the combination that makes for a thrilling read. The books tell the story of the 1998 World Cup Finals in France. Culminating in a dismall performance of the Brazilian team and especially Ronaldo in the the final. Immediately after the game rumours appeared that Ronaldo suffered a mysterious fit on the day of the final. Why was a player of Ronaldo?s physical and mental state ever allowed to play. 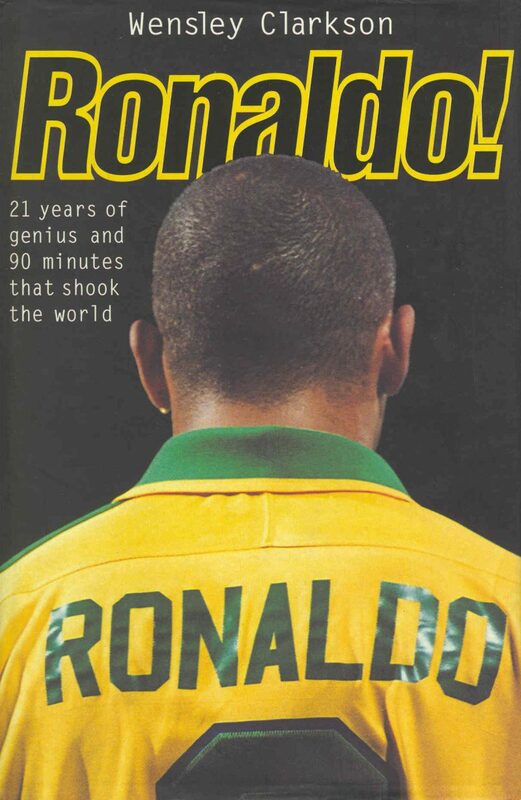 The book does a good job in explaining the enormous pressures Ronaldo had to cope with. The fit doesn?t come as a surprise anymore, but as a logical consequence. But no clear answer is given to the question why Ronaldo still played in the final and the role of sponsor Nike in this affair. It’s no mean feat to tell the unruly story of a country as large, diverse and divided as Brazil in one volume of narrative history. But Fausto succeeds admirably in presenting facts, figures, events and influences in an orderly, palatable fashion. Although the heavy emphasis on politics makes it a bit dry at times. Expansion led the Portuguese to Brazil in 1500, when Pedro Alvares Cabral first sighted the country’s coast. From the beginning, Brazil was totally dependent on slavery, first enslaving Indians and then importing Africans to work one or another of the labor-intensive aspects of the boom-or-bust economy.